By Ashutosh KS in Social Media. Updated on December 4, 2018 . As a YouTube creator, you need to create superb videos and tweak them for social platforms and search engines to make them viral. However, if your videos are not performing well, then most probably you’re not using the right tools. I did a research on the tools used by popular YouTube channels, and I’m going to share the best Chrome extensions for YouTube creators that prove helpful in many ways. With given extensions, you can create searchable videos, streamline your workflow, evaluate the performance of your videos and channels. They can also help you to monetize the videos and grow your vlogging business by managing and optimizing social and video platforms. In this section, I’ll showcase some extensions that help to create your own story and mix and edit music and videos efficiently. All these extensions work directly inside your browser, and provide no less power than any simple video editor. Features turn-by-turn collaborative editing from any place on any device. Allows to record and add a voice-over to the video clip using webcam and mic. Avails different editing modes for beginners and professionals namely Storyboard and Advanced Timeline, offering ease and power respectively. Supports connecting to cloud services and taking media files directly from Facebook, Instagram, Flickr, Google Drive, OneDrive, Dailymotion, Box, and Dropbox. Lets you publish videos on YouTube, Vimeo, Facebook, Dailymotion, etc., or share them on social media sites or embed them on your website out of the box. Adds various buttons and notifications to make you get and know things faster. Allows to sort photos, navigate the timeline, select tabs and do various other tasks without losing the current selection in the editor, using just the shortcuts. Playback control takes control of the preview player and is controlled by a separate playback button and a slider, which allows editing and scrolling in the locked mode. In this section, I’ll share the extensions that help to create videos using your webcam and convert them various video formats. These tools even support compressing those videos for faster upload experience without using any third-party tool. 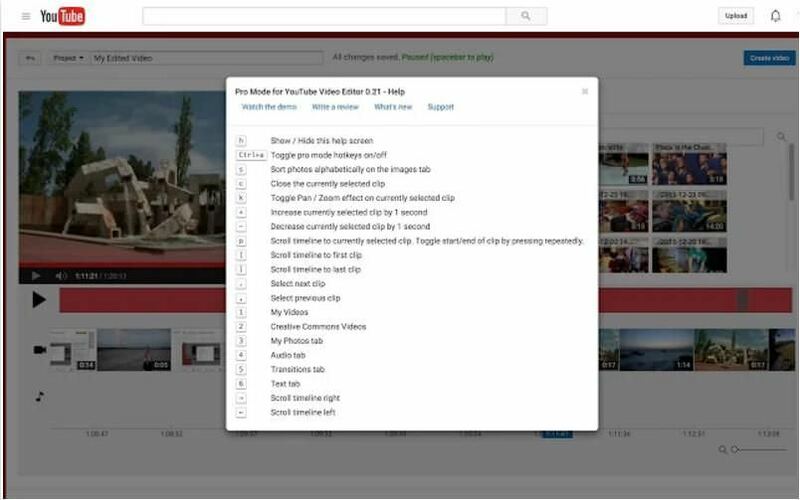 Allows you to create a short link to request and collect videos from anyone, which can be queued and uploaded directly to your YouTube channel or Google Drive. Its webcam recorder records the video in 360p, 480p and 720p resolutions right from your browser, which helps vloggers create video blogs easily. Add and edit objects like stickers and text boxes in the screenshot. Captures whole or part of web page and records a video from a tab or screen. Lets you edit and manipulate the screenshot, and save it in JPG and PNG formats. Allows saving to various third-party tools like Nimbus Note, Slack and Google Drive. Records a specific tab in your browser or the whole computer screen. Creates WEBM and VP8 videos with audio and lets you save it locally. Allows saving the files to Google Drive and publishing directly to YouTube. This section talks about the tools that help in uploading, publishing and sharing videos with others easily, using just a web browser. 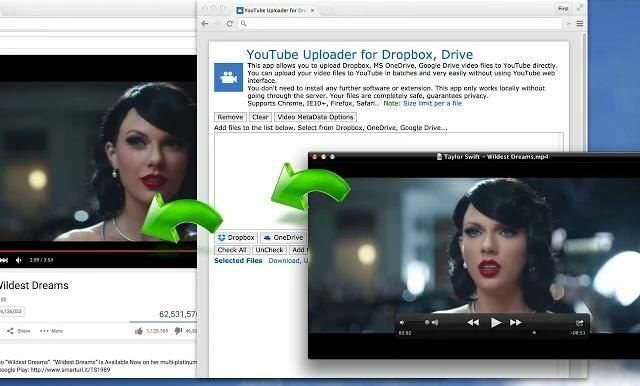 These extensions also help publishing videos directly from online storage providers like Dropbox, Google Drive, etc. Allows uploading video files in batch mode without using the YouTube’s web interface. Supports numerous video formats like WebM, MP4, AVI, WMV, MOV, MPEG4, MPEGPS, FLV and 3GPP. In this section, I will talk about the most important tools in your journey from being a “YouTube creator” to a “popular YouTube creator”. These extensions will transform the way you manage your channels, and provide lot more help to optimize them easily than ever. Moreover, these help perform time-consuming tasks like updating annotations and info cards, managing comments and creating thumbnails and backups in just a few clicks. Provides find/replace and bulk update features to update the descriptions, social profiles, hyperlinks and references on the videos. Helps generate customized, professional-looking thumbnails with the help of screenshots and branding or text layers for the videos. Allows you to engage and collaborate with new subscribers and fans efficiently as well as export the list of your subscribers and their profiles to a CSV file. Generates a detailed analysis of your competitors’ views, subscribers, uploads per day and engagement channels — all in nice, tabular form in CSV format. 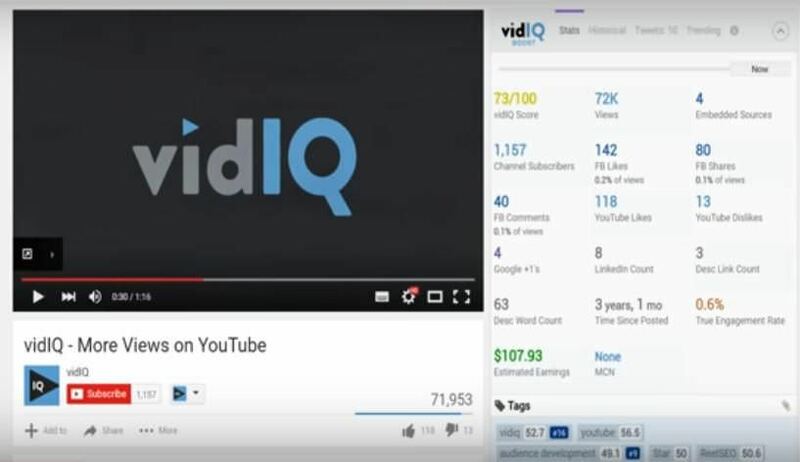 “vidIQ Score” ranks every video, which helps to evaluate the probability of a video being endorsed in related search or recommended videos. Average watch time helps you understand the quality of your videos and how well they keep viewers engaged, and thus drive success on your channel. Velocity (views per hour) tells about the videos gaining viral traction and their acceleration in popularity, making it clear which are the rocking videos. Social media statistics shows the number of likes, shares, comments, and tweets for your videos gathered from various social channels including Reddit. Title optimizer ensures the videos possess concise, searchable titles. Thumbnail editor creates beautiful thumbnails using backgrounds, graphics, and text for videos, and allows downloading them for posting to social media. 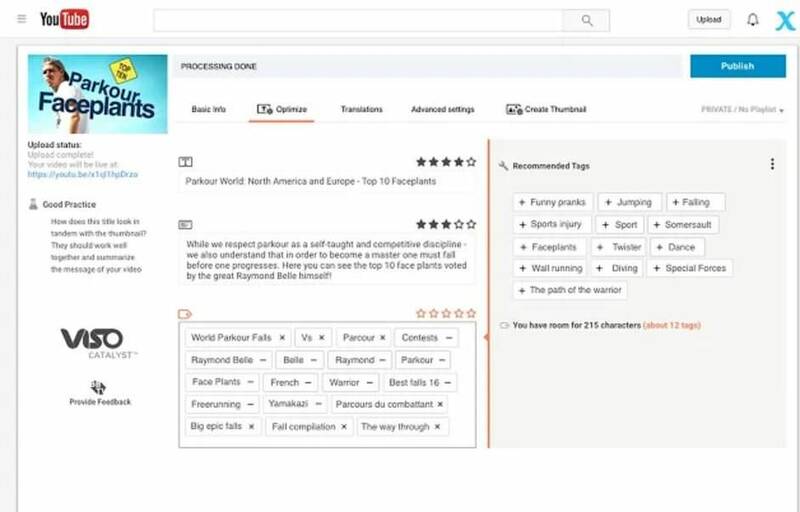 Intelligent keyword recommendations help you improve titles, descriptions, and tags for your videos to make them as user-friendly and searchable as possible. Here’s the description about some tools that help to track and manage social media integration, which seems almost impossible to do manually, at least to me. 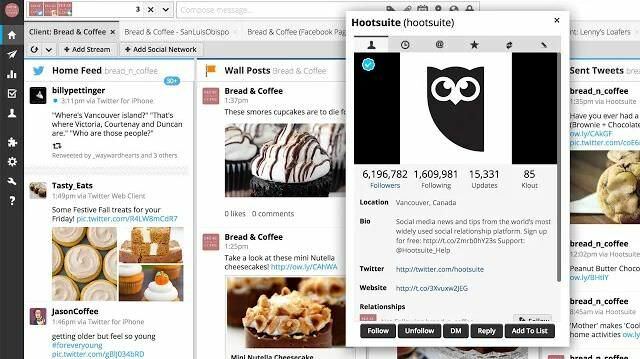 With these tools, you and your team can work collaboratively to manage various social networks. Saves time by allowing to manage all social networks like Twitter, Facebook, LinkedIn, and Google+ from a single dashboard. Measures the social ROI, spots developing trends and reports how your videos are performing with competitors through real-time reports. Helps connect with customers faster and smarter, and enables you to respond instantly by monitoring opinions and reviews about your brand. Allows inviting multiple collaborators to manage social profiles and streamline team workflow using scheduling and assignment tools and much more. This section discusses about the Chrome extensions that allow access to in-depth video insights showing videos’ details and statistics. This insight helps creators in understanding and improving brand awareness, lead generation, and online user interaction. Offers YouTube real-time chat system with the ability to create chat rooms for people with similar interests to hold discussions and share videos. 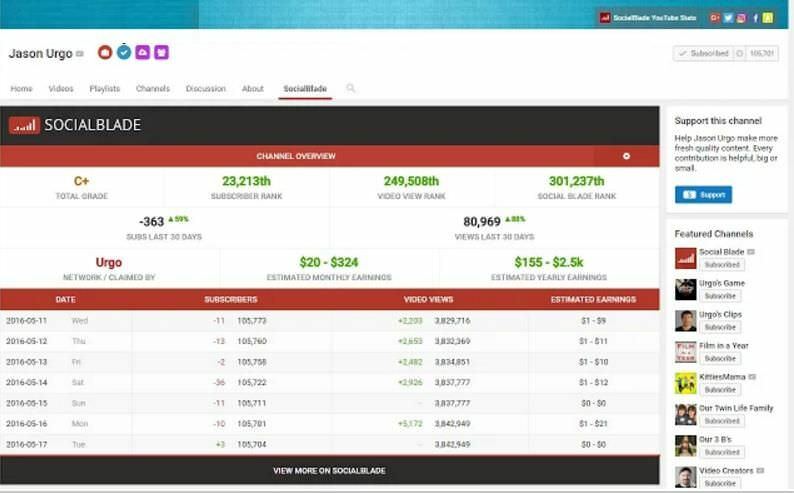 Provides the creators with channel analytics having metrics like earnings, viewership and subscriber growth of their channel and the competition. Its tag finder allows creators to tag their videos with trending, SEO-friendly keywords, which help the people to find preferred or related content faster. Provides social analytics for any content, creator, brand or live streamer. Provides user and trend statistics for any video or channel on YouTube. Provides financial stats including estimated monthly and yearly earnings along with future projections in numerical format as well as easy-to-read graphs. Among all these Chrome extensions, I find TubeBuddy, Hootsuite and Heartbeat are the must haves for every YouTube creator — beginner or advanced. 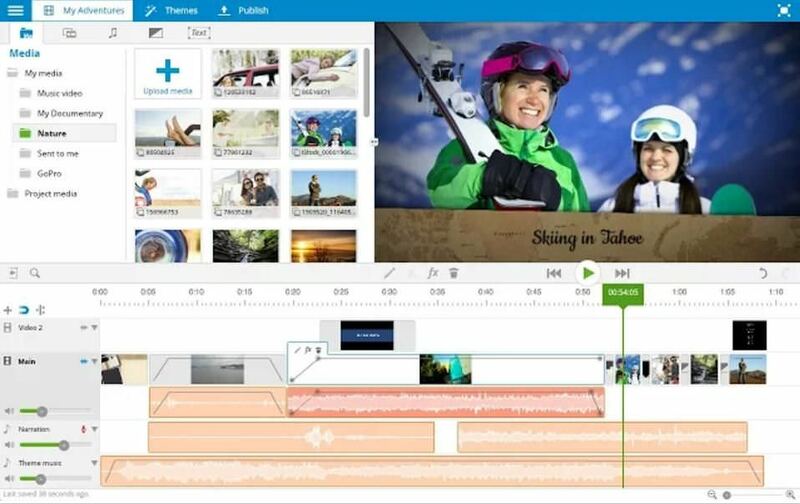 And if you don’t use a powerhouse video editor, then WeVideo and Clipchamp also prove helpful for creating videos. How’s your experience of creating videos and managing your channel using these tools? Do you know more such tools? I’ll love to hear from you through email and comments.